Planning a funeral can be a difficult and stressful process, normally accompanied by grief and the overwhelming sense of loss that follows the death of a loved one. 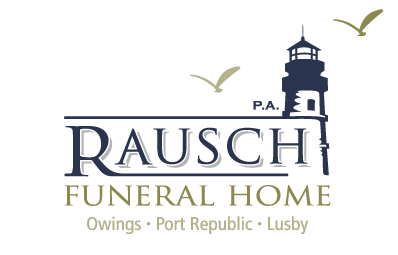 The funeral directors at Rausch Funeral Home have the experience and training to guide families through the process of planning a funeral and help your loved ones plan an appropriate service for you. As an alternative to passing this burden to your survivors, wouldn’t it be nice if you had a say in how your funeral was conducted – if your wishes could be met; if you could assist your loved ones in planning an appropriate, meaningful and personalized funeral or memorial service? Pre-planning is the avenue to make all of the necessary arrangements for your funeral before death, you can plan the services, let your family know your wishes; even select a casket that matches your style instead of leaving such decisions to your family. Pre-planned funerals can be simply a directive, indicating service details and merchandise selections, or they can be pre-funded as well – securing the services you desire at today’s prices, protecting your assets from inflation and guaranteeing the services and merchandise you select at the current cost.